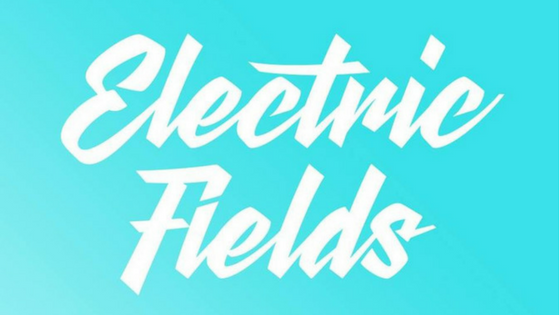 Electric Fields will take place at Drumlanrig Castle in Dumfries & Galloway from 30th August to 1st September. It’s not long in coming around. One of our favourite festivals on the summer calendar is less than 3 weeks away and with stage and day splits having been announced this week it’s time to plan who you are going to see, when you are going to arrive and when you are going to fit in a trip to the food market, which is once again being run by The Pitt. Celebrating its 5th birthday in 2018 it’s fair to say Electric Fields has had a dramatic rise in stature and size in those years. Helping with the birthday celebrations are headliners James, Noel Gallagher’s High Flying Birds and Leftfield. However, it’s not only about the headliners, the line up underneath these three is incredible. Young Fathers, Public Service Broadcasting, Idlewild & Teenage Fanclub are festival headliners in their own right. Then add the likes of Ezra Furman, Baxter Dury, Idles, Soccer Mommy, Avalanche Party, (I could go on and on, check out the line-up here —> electricfieldsfestival.com/line-up-2018). In Electric Fields first year it was 100% Scottish acts that were on the bill with We Were Promised Jetpacks headlining. Year on year the festival bookers have continued to support grassroots Scottish music and 2018 is no different with A&A favourites Chuchoter, Crystal, Lucia, Solareye, Zoe Graham & Wuh Oh all on the bill, along with loads more, again take a look at the line-up. Fancy a dance? No problem, one of my personal favourite parts of Electric Fields 2017 was the Sneaky Pete’s Tent and it is back again. Athens of the North, Wasabi Disco, Moxie, Soul Jam & more providing the tunes. Nue Reekie! also return to curate the poetry, spoken word, and all round wonderfullness in their tent. Neu Reekie founders Michael Pederson & Kevin Williamson will perform along with Loki, Cat Hepburn, Becci Wallace, Callum Easter, and Rituals. Following the tragic death of Scott Hutchison in May, Electric Fields wanted to pay tribute to, not only a great performer at the festival but a friend and supporter of Electric Fields. Following last year’s triumphant headlining set with Frightened Rabbit, Scott was due to perform with his newest music project Mastersystem as well as popping up in the Neu Reekie! tent. In tribute to Scott, Mastersystem’s debut album ‘Dance Music’ will be played in full and at 19:45 on Saturday Frightened Rabbit’s singalong anthem ‘The Loneliness & The Scream’ will be played, very loud, on the main stage. Get along and sing your heart out! Final tickets are now on sale at electricfieldsfestival.com/tickets. Get them quick as they will sell out and you don’t want to miss out on the best weekend of the summer. I, for one, cannot wait!